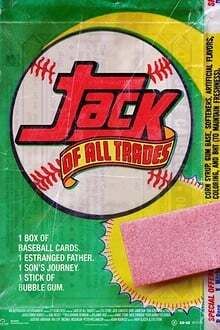 In the late 80’s/early 90’s North America’s favorite pastime was collecting baseball cards. People would invest millions, in this game of pirates treasure, by putting their mint condition gold in plastic sleeves, locking it away and hoping it’s value would continue to rise year after year. Unfortunately, this house of cards would soon collapse, leaving the pieces of cardboard along with the hopes and dreams of fathers and sons worthless. Stu Stone was one of those sons, and his relationship with his father Jack, who was in the card business, would crumble with the industry. 25 years later, Stu is on a mission to discover why his beloved baseball cards are worth nothing more than the memories they hold of a happy childhood. What he didn’t plan on finding though, was the most elusive card of them all, his father Jack. Filmmaker Alan Berliner documents his first cousin, the poet-translator Edwin Honig, as he succumbs to Alzheimer’s. Doctors expose the junk science behind a criminal justice crisis.